Genis After Andranian's Scalp! Bad Move! 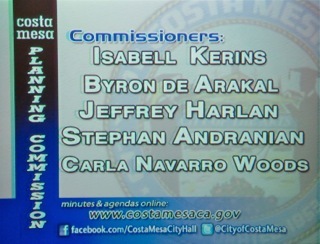 As has been widely reported by Costa Mesa Mayor Pro Tem Sandra Genis and several others for a week, at the previous Costa Mesa City Council meeting last Tuesday she made a mistake when marking her nomination forms in the selection process for the three commissions - Planning, Parks and Recreation and Senior. She marked her forms backward - lowest number to highest instead of, as the instructions said very clearly, from highest to lowest. When City Clerk Brenda Green subsequently tallied the totals the only one of Genis' that was correct was the one in the middle of each calculation - the third position in the case of the Planning and Parks and Recreations Commissions and the fourth for the Senior Commission. Since her mistake Genis has been seeking a solution that would correct her mistake. Short of firing all the commissioners and re-starting the recruitment process there seems to be no legal way to accomplish this. 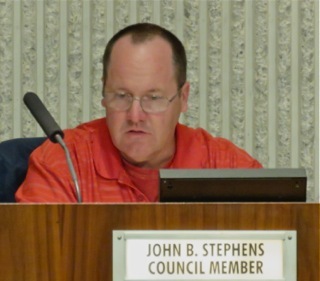 At the City Council meeting on Tuesday, February 21st - next week - New Business #2, HERE, is her request to remove Stephan Andranian from the Planning Commission and launch a recruitment effort to fill the position. This makes absolutely no sense, particularly when you consider that the new Planning Commission has already been sworn-in, held their first meeting and chosen officers - Andranian was selected as Chairman! Genis made a mistake. She now has made a second one by trying to "fix" this by asking her fellow council members to join her in removing Andranian for no reason other than her error. This only exacerbates this situation, creates uncertainty and confusion in the community and casts an even larger shadow over her judgment. The council should reject her request, allow the Planning Commission to remain as chosen and certified earlier this week. Genis made a mistake and will have to live with it. She should not be allowed to make this second one. WHAT ABOUT THE OTHER COMMISSIONS? And, by the way, what about her votes for the Parks and Recreation and Senior Commissions? Certainly her mistake on those nomination forms had an impact on the results. What about those? Is she going to request similar action regarding those commissions? I certainly hope not! More on the balance of the agenda for the council meeting Tuesday later. 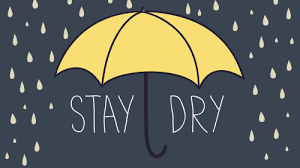 Right now we're busy battening down the hatches in anticipation of the coming storm. Keep your powder dry. 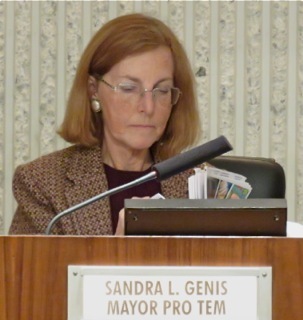 Costa Mesa Mayor Pro Tem Sandra Genis will hold a community outreach meeting tomorrow, Thursday, February 16, 2017, in Conference Room 1A beginning at 6:30 p.m. to give residents an opportunity to express their ideas, concerns and wishes about infrastructure in the City. This meeting will be a casual affair, with opportunities to present ideas to Genis prior to the upcoming budget deliberations so wishes and needs from an infrastructure standpoint can be investigated by the staff and presented to the City Council for consideration. This meeting will not be televised, so if you want a chance to chat with your Mayor Pro Tem and the staff about streets, bridges, adventure playgrounds, bike trails, dog parks, skate parks - you name it - tomorrow is a chance to do just that. 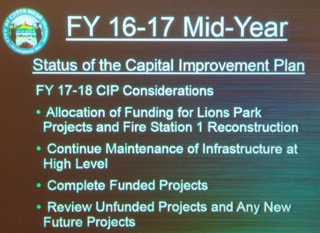 The Costa Mesa City Council spent almost two and half hours Tuesday evening hearing the Mid-Year Financial updates from City Staffers. 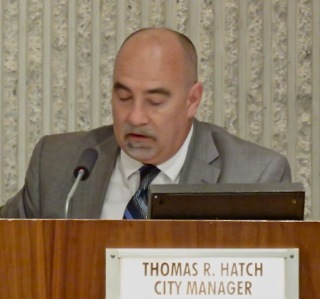 City Manager Tom Hatch, Interim Finance Director Steve Dunivent and Public Services Director Raja Sethuraman provided excellent information to the council. All the council members were present, although Mayor Pro Tem Sandra Genis was about 7 minutes late. 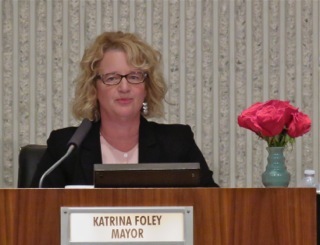 The event was held in City Council Chambers, so Costa Mesa Television televised this live and recorded it for later viewing on streaming video or on your local CMTV channel - 3 for Spectrum and 99 for ATT. That video is now up and available. I've embedded it at the end of this entry. 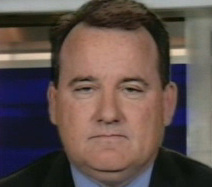 I won't attempt to give you a blow-by-blow verbatim description of all the issues. I encourage you to view the meeting yourself for that level of detail. I will try to give you a flavor for the evening, though. There were about 10-12 of us in the Chambers - a number matched by the members of the staff there to provide support if necessary. This meeting might have been held in Conference Room 1A as has been done in the past, but live broadcast was not available there. I think Hatch expected a larger crowd, but the numbers have been significantly smaller in years past. 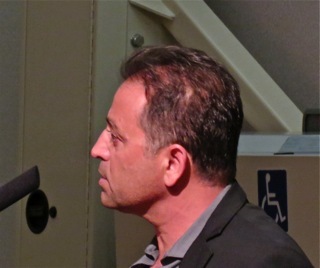 Ralph Taboada was the only member of the public stepped up for Public Comments. 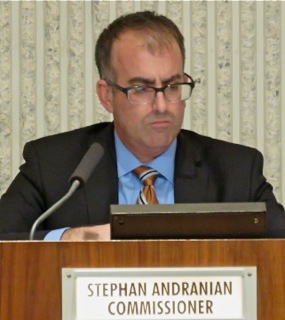 Until recently he was a member of several City committees, including both the Pension Oversight and Finance Advisory Committees. 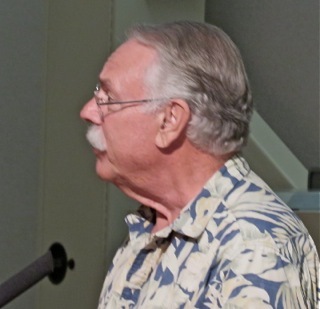 He asked that the council consider the recommendations made by the Finance Advisory Committee as they deliberated about how to spend the budget surplus of nearly $11 million. One of his recommendations was to use part of the dollars currently allocated to the replacement of the Library/Community Center - $4 million - to fund the re-build of Fire Station #1. 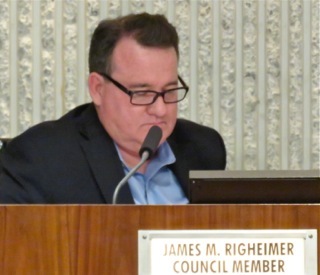 Councilman Jim Righeimer interrogated him on that issue, asking if he thought it was OK to borrow that money for the Library, but not for the Fire Station? The answer was yes. 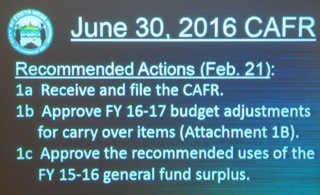 1) A discussion of the Consolidated Annual Financial Report (CAFR), including a Mid-Year Review. At the end of the 2015/2016 budget period revenues exceeded the budgeted amount more than $8 million and expenses $4.5 million below budget which, after some internal transfers and other tinkering, resulted in a budget surplus of $10.6 million. Sales Tax ($57,593,561), Property Tax ($25,998,070), Investment Income ($1,019,013), and Transient Occupancy Tax ($8,622,505) were all well above budgeted expectations. 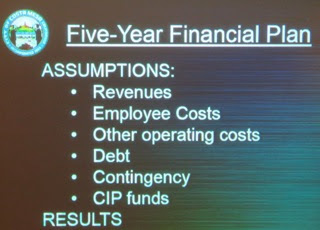 Employee costs were $2,511,577 below budget due to vacant positions. 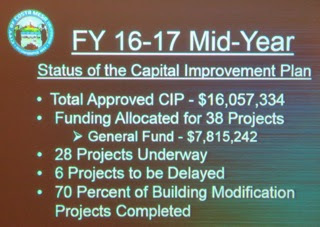 Operations and Maintenance costs were $1,164,171 below budget due, in part, for reduced water costs for parks and parkways. The pension liability of $231,897,604 is now included in the City's government-wide balance sheet amounts. Previously it was disclosed in footnotes. Reserves had been set at $55,000,000 with provisions to receive annual allocations up to $1,500,000 when there is a surplus. 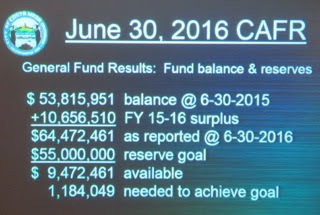 The staff recommendation for disbursement of the nearly $11 million in reserves is shown on this slide from his presentation. If you squint you can read it. You can click on the image to enlarge it. Public Services Director Raja Sethuraman presented the Capital Improvement part of the program. The following slides give you an idea of the discussions that were held. One of the interesting discussions revolved around the removal of some of the $650,000 earmarked for lights in Fairview Park for another use. Righeimer had a mini-rant about that. You will recall that those lights were one of Steve Mensinger's pet projects that, although approved 3 or 4 years ago, had not been completed. When interrogated by Righeimer, Sethuraman advised that the engineering on that job had not been completed. (There are many vacancies in Engineering) Hatch chimed in to advise that there were several other projects in the cue ahead of it. 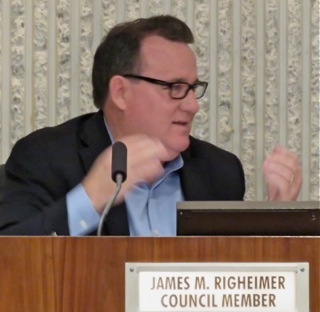 Righeimer was clearly frustrated, and demanded that the council vote on it before it is trash-canned. I smiled just a little bit. 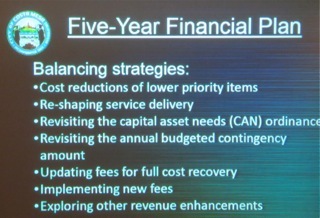 Then we heard a discussion of the 5-Year Plan - something that was added to the process a few years ago. The numbers were based, necessarily, on some assumptions about revenues, expenses, health of the economy, etc. One of the biggest discussions in this segment revolved around the Pension Liability and the impact of the reduction in the discount rate recently announced by the CalPERS Board from 7.5% to 7% over three years. CalPERS has used optimistic, unrealistic projections on their returns on investments which had a huge impact when the economy took a dive in 2008. 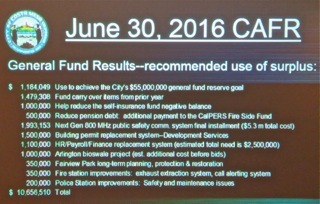 Cities and other entities which subscribed to CalPERS had to make up the difference. As mentioned above, our "difference" is over $230 million and climbing. The upshot of the pension discussion was that it's going to take more than anything the City can do to resolve it. 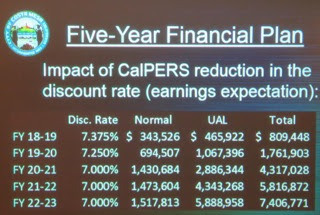 Projections provided last night, using the assumptions based on the new discount rates from CalPERS, was that an employee might be able to retire in 2023 at 98% of their current pay! Nobody agrees that it is feasible nor reasonable. Righeimer, correctly, waved the "municipal bankruptcy" flag around during his discussion. I guess that's what he was doing because his arms were waving around most of the night. Sadly, he's correct. As John Stephens said, echoing a comment Mayor Katrina Foley said earlier, it's going to take cities gathering together and working with State Government to resolve this issue. Righeimer wants employees to take smaller retirements and pay more toward them. Watch the tape. I almost forgot... another very interesting discussion revolved around the idea of dumping City Manager Hatch's "Contingency Fund" - the slush fun that Righeimer and his mob instituted so they could use it for their own little piggy bank for pet projects and not take it to the full council for a vote. Hatch suggested reducing it to $250,000. Righeimer had another mini-melt down on this issue, too. One of these days we're going to see him straight out of a scene from Mars Attacks - his head will explode! Here is the embedded recording of this meeting. It's worth the time to watch. You can jump forward and back if you wish. 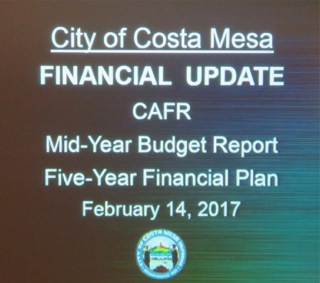 The Costa Mesa City Council will meet beginning at 5:00 p.m. today in City Council Chambers for a Financial Update Study Session. Read the agenda HERE. 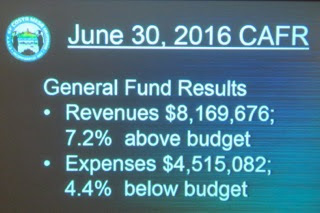 Read the staff report, HERE, and learn - among other things - that the City had a budget surplus of nearly $11 million. Here's a great sentence from that report: "The City has a great opportunity to use these one-time funds to achieve several goals and fund important projects as guided by the financial and budget policy." This meeting will be the first public session in which the new City Council will give us a clue as to their financial priorities as we move forward. We know in the past the previous council majority chose infrastructure over public safety - potholes vs. people. This meeting should help us take the pulse of the leadership of this city, to see where they want to take us for the next two years. 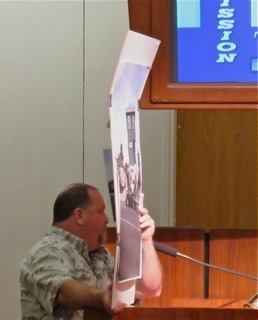 Monday night the new Costa Mesa Planning Commission met for the very first time in a meeting that was memorable for more than one reason. After Deputy City Attorney Yolanda Summerhill led the room in the Pledge of Allegiance, City Clerk Brenda Green conducted the swearing-in ceremony for the four new commissioners in attendance. 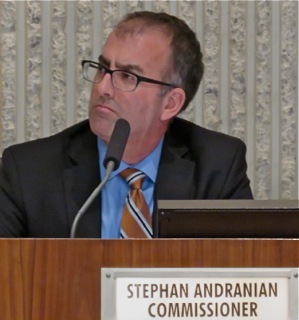 New Commissioner Jeffrey Harlan was absent due to a family emergency. 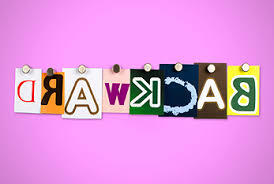 Welcome aboard to Stephan Andranian, Byron de Arakal, Isabell Mayer Kerins and Carla Navarro Woods. 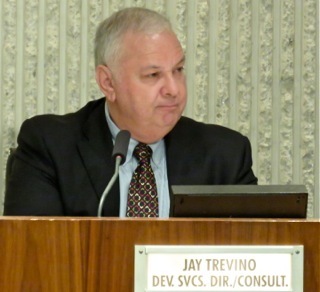 Interim Development Services Director/Consultant Jay Trevino conducted the Public Comments portions of the meeting. Eight (8) speakers stepped up to address the commission. Richard Russell complained about the previous commissions having been "fired", stating flat out it was a bad idea. Then he thanked the new commissioners for being there, particularly citing Commissioner Andranian as a returning member who could offer continuity. Cindy Brenneman welcomed the new commissioners, then cautioned them to be careful doing their jobs, citing the fact that Fire Station #1 is currently being constructed simultaneously with new median work being done nearby in Mesa Verde, which is causing all kinds of traffic problems. Three unidentified people stepped up to complain about the project at 2068 Maple Street. Summerhill stopped the third midstream and told him they should speak during the time provided when that item is heard. All three spoke again at that time. Jay Humphrey congratulated the commissioners, then corrected a number one of those earlier speakers provided about the number of new units built in the past six years. An unidentified woman encouraged the commissioners to think independently of the others - to make up their own minds. She praised Andranian for his previous performance on the commission and reminded them that "what you do is important!" 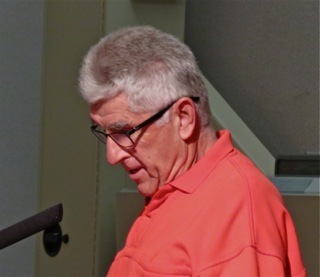 An unidentified business owner and frequent speaker before the commission and the City Council encouraged the commissioners to do what is right for the community, not developers. Citing the current condition of traffic in the city, he said if it means more traffic, don't build any more. Andranian then conducted the process of selecting a Vice Chairman for the commission. 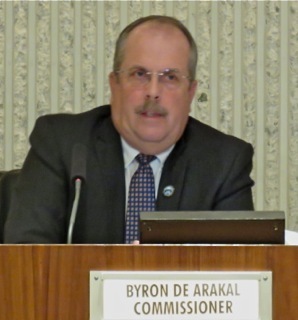 Commissioner Byron de Arakal was nominated and seconded and selected on a 4-0 vote. 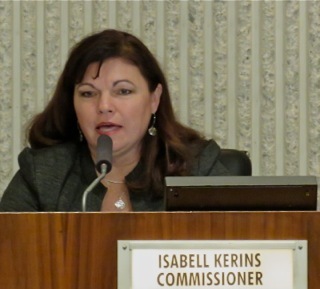 Commissioner Isabell Mayer Kerins was selected to be the liaison to the Housing and Public Service Grant Committee, 4-0. A short break was taken to juggle chairs on the dais before reconvening for Commissioner Comments. Woods and Kerins had none. 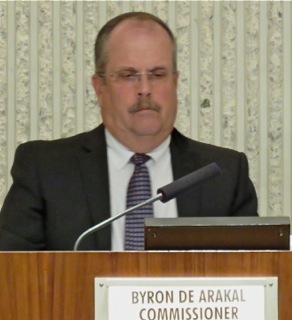 de Arakal thanked his former compatriots and the staff that supported them on the Parks and Recreation Commission. He thanked the City Council for their trust in him and offered his congratulations to his fellow commissioners. He also pledged to weigh the issues and make decisions based the facts and the law, not on personality or politics. 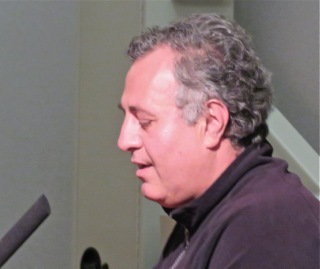 Andranian thanked the City Council for their trust in selecting him. He said he signed on previously for a 4-year term and plans to complete that tenure with this assignment. 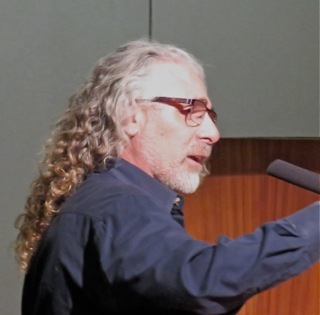 He said he always listened to the issues and made his decisions considering the property owner's rights and the impact of the decision on neighboring properties. He also congratulated his fellow commissioners and thanked them for choosing him as chairman. Next up was the Consent Calendar, which had a special wrinkle this time. 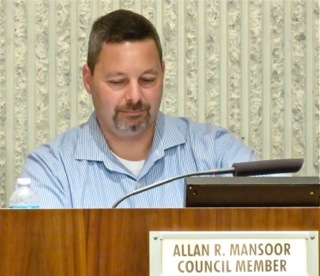 The only items on the Consent Calendar were five sets of minutes from previous Planning Commission meetings from last year, and the only person on that commission was Andranian. 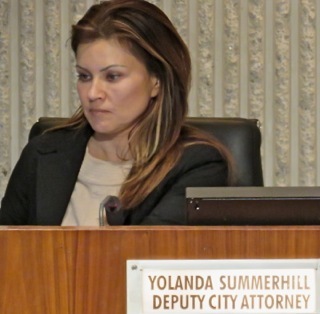 Deputy City Attorney Summerhill jumped in and told the commissioners that it was OK for them to vote on the minutes if they had a comfort level that they were accurate. She praised Clerk Julie Colgan and observed that she's very thorough in completing the minutes. 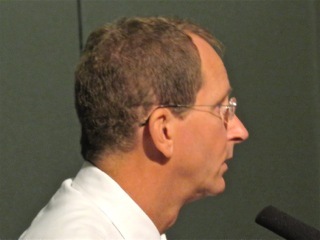 Jay Humphrey stepped to the podium and suggested the commissioners view the tapes before voting on the minutes. An unidentified woman also addressed this, and observed the minutes contained discussions of Sober Living Homes and agreed with Humphrey about reviewing the tapes. The commission approved the Consent Calendar, 4-0. 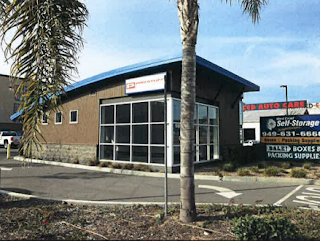 Next up came Public Hearing #1, the amendment to a planning application to allow automotive service - smog check and repair - at at 2059 Harbor Blvd. After a 20 minute discussion, including three public comments that opined that this operator should be permitted to run his business, and in which the operator assured the commissioners that the only automotive repair being done at that site would be strictly related to smog compliance with the exception of replacement of catalytic converters, which would be done elsewhere, the commission passed the request on a 4-0 vote. 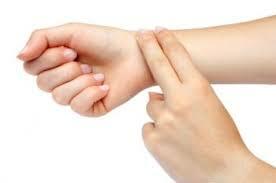 TIME EXTENSION A SLAM DUNK? NOPE! Public Hearing #2, the time extension for a residential project at 2068 Maple Avenue, which should have been a slam dunk, turned out not to be. The applicants client apparently bought the property and the previously-approved entitlements late last year and was coming to the commission for a one-year extension lest he lose those entitlements on the May, 26th expiration date. The only issue was the time extension, not the nature of the project - a three-story development with rooftop gardens. Eight (8) residents spoke to this issue, including several who live nearby. Privacy in their own homes became a large issue because a similar nearby project has sight lines into yards of single story residences nearby. Several speakers said this project is a corruption of the Westside Residential Overlay, which was concocted and approved a decade ago. 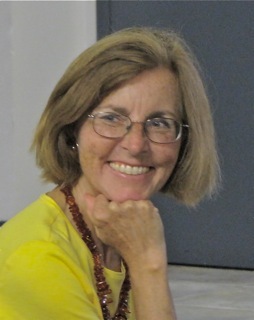 After lengthy discussions by the commissioners in which questions were raised about the applicant's due diligence in acquiring the property with a short time left on the entitlements, and also the fact that there was not financing in place to proceed, the commission eventually voted, 4-0, to DENY the one year time extension. I cannot recall this ever happening before and may have set the tone for how this commission plans to operate downstream. The applicant must now scramble to get financing and the tract map approved at the county level, get permits and begin construction - break ground - before that May 26th date or he will lose the previously-approved entitlements. In my view, this is a really BIG DEAL for the commission and the city. It will be interesting to see if the applicant appeals the decision to the City Council. The last item on the agenda, Public Hearing #3, was up next. 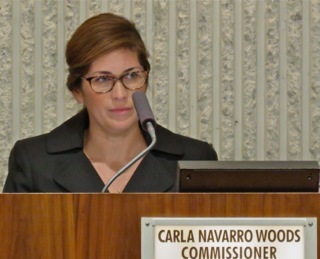 New commissioner Woods departed, recusing herself for a perceived conflict of interest that was not discussed. 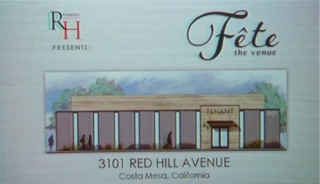 This project will convert an industrial site at the corner of Red Hill and Fischer into a banquet/event venue that will cater mostly to weddings. There will be alcohol consumption and sales at the site presuming they can acquire the necessary licenses to do so. Concern was expressed about the security of the alcohol, the parking management of the site and security in general. Apparently complimentary valet parking will be part of the process - it was specifically mentioned in the discussion before the vote. de Arakal expressed concern that the site would be made available to promoters and the response was "absolutely not!". The three remaining commissioners passed the request on a 3-0 vote. Before Andranian adjourned the meeting to the next commission meeting on February 27th Trevino reminded them to mark their calendars for a joint Planning Commission/City Council meeting scheduled for March 28th at 6:00 p.m.
First, it's not going to take this group long to get settled into their jobs. This meeting was a good shoehorn for them to begin to figure out where the buttons are on the dais and how the protocols work up there. It appears to be a strong group. When Jeff Harlan returns it will be even stronger. I fully expect to see good, thorough discussions of issues, particularly as the new folks get up to speed in the jargon of the job. The selection of Stephan Andranian as Chairman and Byron de Arakal as Vice Chairman was a good move. Andranian has current knowledge of how things were managed for the past two years. Certainly, some of that will change, but his institutional knowledge will be very valuable. de Arakal has demonstrated his skills on the Parks and Recreation Commission for a couple of tours, including as Chairman of that group. He knows how to run a meeting. Kerins seems like a very bright woman with a developer orientation, which isn't necessarily bad. Woods has a strong environmental sensitivity combined with good management skills. It will take her a little longer to become comfortable with the language of the job - the terms of art that come with any job - and will likely have to do a little more homework than the others early-on, but she's smart and will bring much to the discussions. Harlan's presence as a lawyer with a strong planning background will add to the strength of this organization. 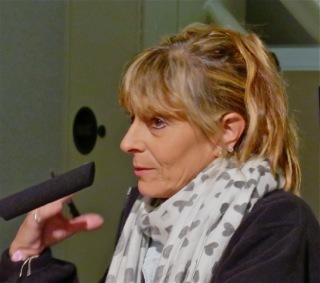 And now we come to that dark cloud hanging over the Planning Commission - Sandra Genis' voting mistake - and what, if anything, will be done about it. There seems to be no easy "fix" to this - any choice will just add to the confusion and frustration. I hope we hear about a solution soon - every day that passes with no solution just exacerbates the issue. In my view, NOTHING should be done about it. Genis made a mistake, but it is not an earth-shaking mistake. The City Council has already certified the choices for the three commissions. They should now just move forward. Happy Valentines Day, everybody. Give your honey a hug today - I already did - mine, not yours.. you get my drift.